I am one of those people who enjoys listening to music when I do things (such as writing this post) and Grooveshark is one of the many places I go to find good music. I decided to do a case study on the design of their website and of their business because I have always admired their style. Grooveshark has a colour scheme of black and orange, this is visible on the front page of their website. 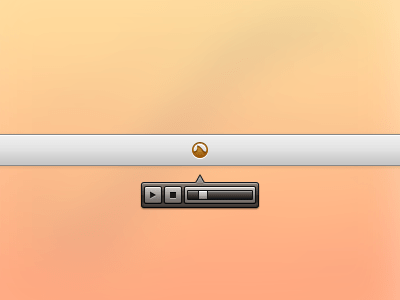 The reason why I am discussing their colour scheme though is because Grooveshark does not strictly stick to it. If you check out their blog site you will notice the orange/yellow has been replaced with purple, but in my opinion this does not hurt their design or image, I think it enhances them, it shows that they are not afraid to try other colour schemes. Many websites will use a certain colour scheme and will be scared to stray away from it because they think it will hurt their image but I think this is proof that when done properly it causes no harm. Grooveshark always updates it’s website, it always improves on the way it looks. 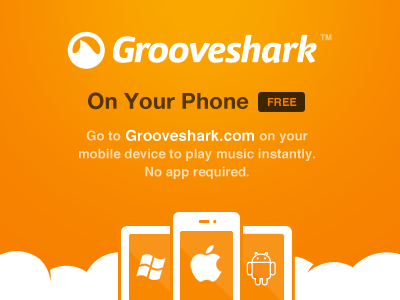 The above image is of an advert to upgrade your account on Grooveshark (from old Grooveshark). 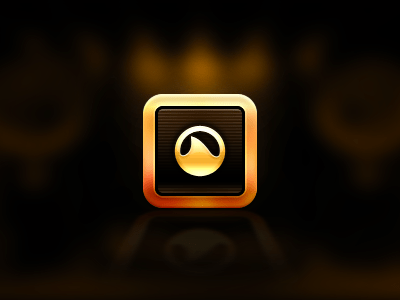 I included this image because it shows what sort of a style Grooveshark were going for on their site. Now they have a lot less illustrations. They try now to quickly get to the point. There is no doubt that new Grooveshark is much slicker, cleaner than the old one. Nothing major changed on Grooveshark for this to happen, it was just the small things but they were important things non the less. To finish up here I want to show you some work based on the Grooveshark design that I though were very interesting (some are concept, some are not).